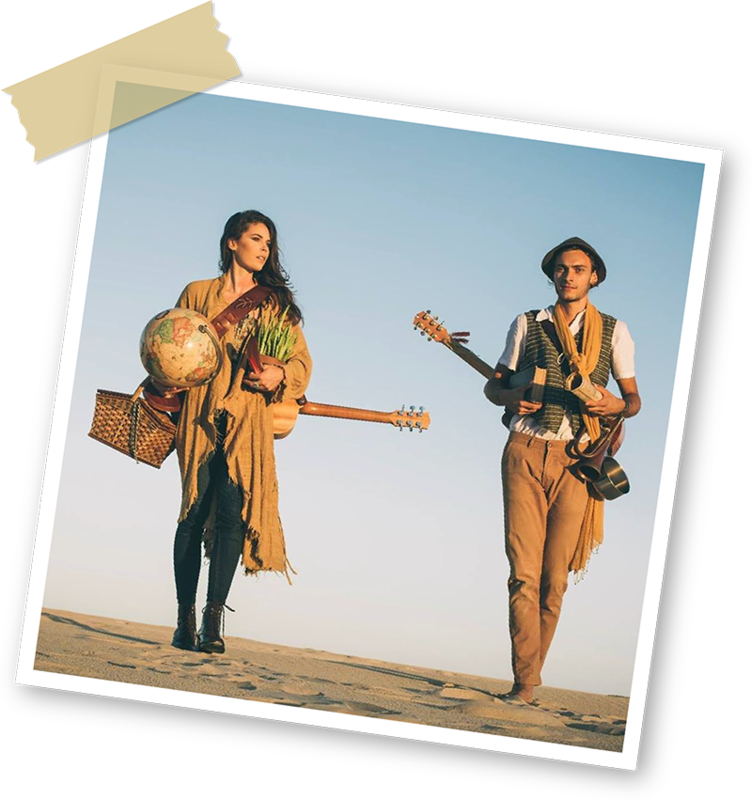 Saije (Shanteya and Jo) are an independent folk duo whose soulful voices and transporting guitar lines interweave their stories though an organic blend of harmony and percussive breakdowns. Typically their song writing explores their love for nature, travel and the core emotions aroused by their personal experiences and relationships. Following the release of their debut EP ‘Land and Sea’ in 2015, this Bellingen based duo regularly took to the road uplifting the hearts of audiences at a plethora of venues up and down the East Coast, including support gigs for well-known artists such as Australia’s 80s rock band 1927 and singer songwriter and activist Dustin Thomas. Some more highlights included their packed house shows at Bello Winter Music Festival and Spirit of the Land Festival. They released their powerful and haunting single, ‘Taken’, in early 2016 before journeying to the cobbled streets of Europe to spread their songs and stories on a busking and gigging tour.